I hope you enjoyed the last days and created some beautiful layouts. Tomorrow Santa is coming and if you didn´t write already your wish list, this is your chance! 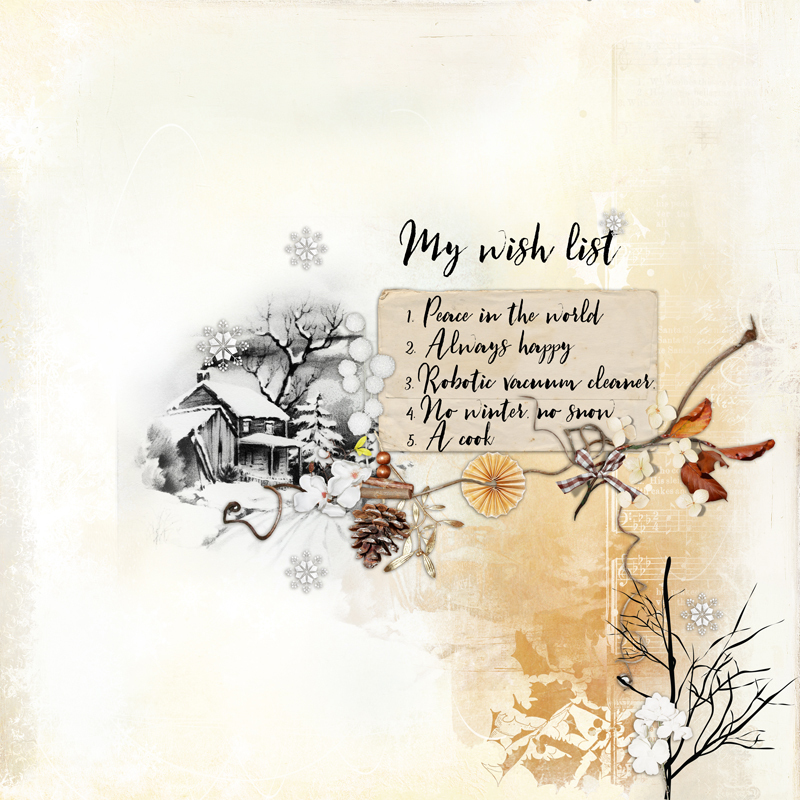 Create a layout with a wish list for Santa. Your list must have at least 5 points or if you like to write a letter at least 5 lines. I have an agreement with Santa and he will wait for all the wishes of the oscraps members. - Create a layout with a journaling with 5 key points or 5 lines. - Your page must be posted in the 12 Days Christmas 2018 gallery by midnight PST Dec 31, 2018 and linked back to this thread. HOW TO LINK LAYOUT TO CHALLENGE THREAD. Last edited by AnikA68; 01-01-2019 at 03:42 AM. Your Christmas list sounds perfect to me! Last edited by cfile; 12-05-2018 at 06:13 AM. Not you guys too, I have no ideas! I love all of your wishes though. Maybe something you list will inspire me. Somebody (Santa?) should work on that DNA test kit for you! Ancestry has them for $49 I think. Great list and page! Last edited by GGGarden; 12-12-2018 at 09:39 AM.